Gold Coast is a sunny, seaside city located on the coast of the Pacific Ocean in Queensland, Australia. One of Australia’s most popular tourist destinations, Gold Coast is known for its golden, sandy beaches, cool blue waters and national parks and forestry. Stretching along 35 kilometres of coastline, Gold Coast comprises a total of 21 beautifully pristine beaches. 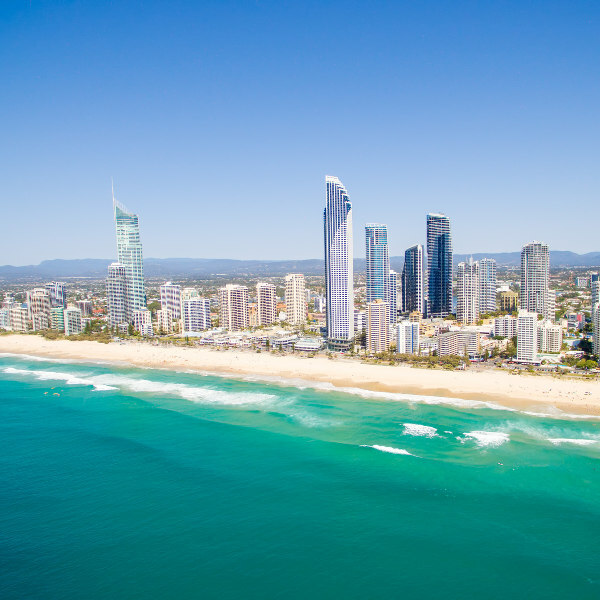 Cheap flights to Gold Coast are now available for a limited period of time, so get ready to experience the sea, sand and sunshine that this summer city is known for! Gold Coast is home to Gold Coast Airport (OOL), located 30 minutes from the city centre. Most famously known for its sun-kissed beaches, Gold Coast offers a total of 21 public beaches for visitors to choose from, all equally appealing. Whether you like to tan with the locals, surf some waves or enjoy some quiet with a good book, Gold Coast has a beach to suit you. Gold Coast’s local tropical rain forests are teeming with fascinating flora and wild bird life. Take a day trip to one of the many local forest parks and get in touch with Queensland’s beautiful vegetation and animal life. With so much to do in the city, ranging from amusement parks, world-class shopping malls and animal reserves, you won’t be hard-pressed to find exciting activities to entertain you when you want a break from the beach! Gold Coast experiences a humid, subtropical climate resulting in warm winters and humid, hot summers. The busiest time of year is during spring time (September to November) when hundreds of high school students flock to the Gold Coast to celebrate the end of their final exams, as well as motorcar enthusiasts who come to enjoy Gold Coast 600, an annual racing event. Summers in Gold Coast (December to February) are hot and humidity levels increase. 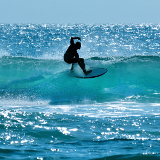 This is also a busy time of year, and most holidaymakers spend their time swimming, surfing or relaxing on the beach. The quietest and most ideal time to go is during autumn (March to May), when summer tourists crowds have dispersed and the weather, while warm, is moderately cooler. Take advantage of the off-season specials during this time and enjoy having the beach to yourself! Located on the Gold Coast, stretching for 35 km along the Queensland Coast, Gold Coast is a bright and inviting beach city, famed for its golden beaches, exciting nightlife and nearby tropical rainforests and waterfalls. Often mistaken for being a “tourist trap”, Gold Coast offers much in terms of its innate natural beauty and pure, no-holds-barred entertainment. 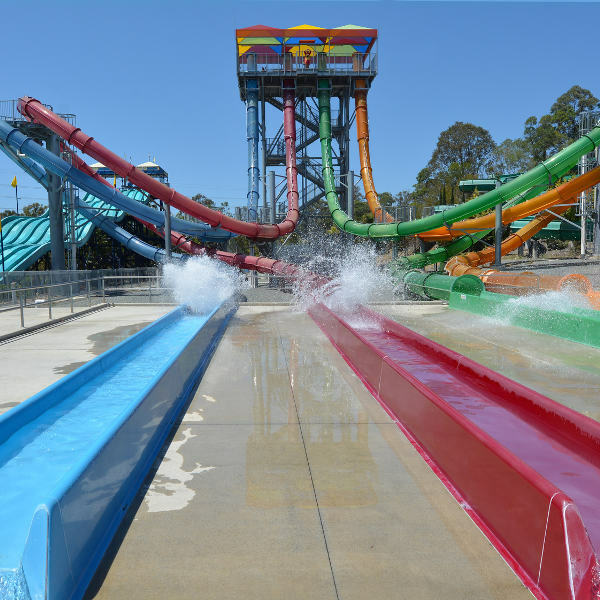 Home to several theme parks, such as Dream World and Sea World, Gold Coast is a proudly family-friendly holiday destination, offering exciting activities for the whole family. 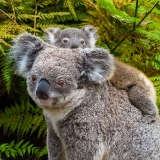 The little ones will also love the local animal sanctuary, where they can get up close to some of Australia’s most famous furry friends like koala bears and kangaroos. 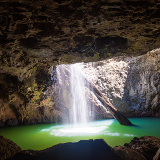 Hikers and nature devotees must not miss the opportunity to explore Gold Coast’s surrounding rainforests and national parks. 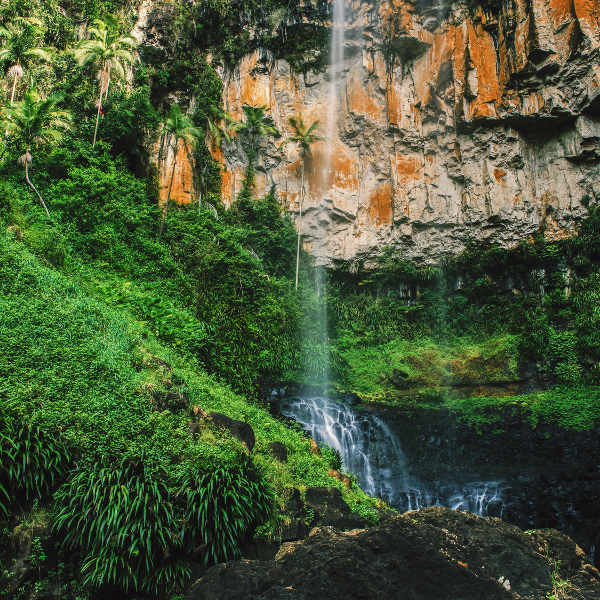 Springbrook National Park has a host of hiking and walking trails that will lead you to amazing views and scenery. Local waterfall hikes are also a definite must. Compare several airlines and book your cheap flights to Gold Coast online at Travelstart! Australia is an extremely safe country to visit and the city of Gold Coast is no different. Violent crime, particularly against foreigners, is virtually non-existent. Do, however, be aware of petty crime and pick pocketing. Be on guard in busy, crowded areas and keep a firm hold on your wallet and/or handbag. Practise common-sense safety precautions such as avoiding walking alone in the city after dark, and do not leave drinks unattended in bars and clubs. Hospitals and medical coverage in Australia is of an excellent standard but many hospitals may require payment up front, so it is advised to take out comprehensive medical insurance before travelling. Beware of crocodiles lurking in rivers and lakes, and always take heed of warning signs displayed in parks. If you are unsure about whether or not it is safe to swim in your destination, ask your local hotel for advice. Gold Coast’s most iconic suburb, Surfer’s Paradise, is the tourist hot spot and place to be if you are looking for electric neon lights, infectious rhythms and young people looking to party! Affordable accommodation in Surfer’s Paradise makes it accessible for everyone, and you will find budget hotels, youth hostels and beach side resorts along the strip, next to all the beachfront restaurants, cafes and bars. If you are looking for quieter accommodation away from the crowds and the busy beaches, then consider staying in The Hinterland. Surrounded by rainforest, waterfalls and hiking trails, this tranquil district offers a slower and more peaceful way of life in Gold Coast. Enjoy hiking the local trails, sample locally-produced wines from nearby wine farms and shop at the quaint local shops. Public transport in Gold Coast is safe, efficient and affordable. A variety of public transport options are available to visitors and include trains, trams and buses, each of which run on a 15 minute rotation. A smart travelling choice to make is to purchase a Go Card from one of the local operators. This handy card enables you to interchange between train, tram and bus, all you need to do is swipe your card each time you enter and exit. Taxis are also available throughout the city and are extremely safe to use no matter what time of day or night. Car rental is also available for visitors looking to drive themselves. Speak to your hotel about rental companies and the rates they offer.